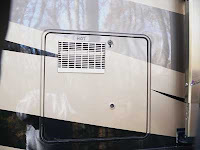 The RV Doctor: RV Water Heater Check Valve - What For? 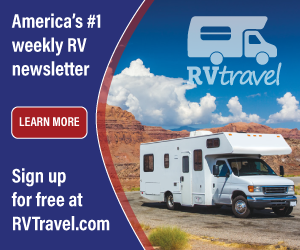 RV Water Heater Check Valve - What For? Typically there are three check valves in the fresh water system; one at the city water inlet (to prevent pump pressure from forcing water out the entry), one at the outlet of the water pump (to prevent city pressure from backing through the pump and filling the water tank and one at the cold inlet to the water heater. It’s there to prevent hot water from migrating back into the cold water system. If a branch cold line, say to the toilet, is plumbed (tee’d) into the cold line too close to the back of the water heater, it could siphon hot water out of the tank and into the toilet when it is flushed. It’s happened before! As long as you have no branch cold lines tee’s near the inlet to the water heater, you shouldn’t experience that problem. Having a check valve at the cold inlet to the heater also prevents mineral deposits and residue from backing into the cold system from inside the water heater. As long as you flush the water heater out once or twice a year, this too, shouldn’t be a problem. But to be safe, it might be wise to reinstall one when you get a chance.